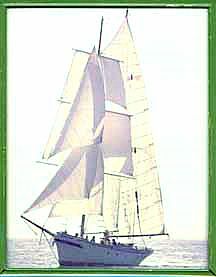 Lieber Schwan is a schooner, 50 ft.on deck; 70 ft. LOA. Moored at Lieber Haven Rentals and Marina. David & Kittie Baxter the owners of Lieber Haven Rentals and Marina lived aboard and cruised the Lieber Schwan for 22 years. 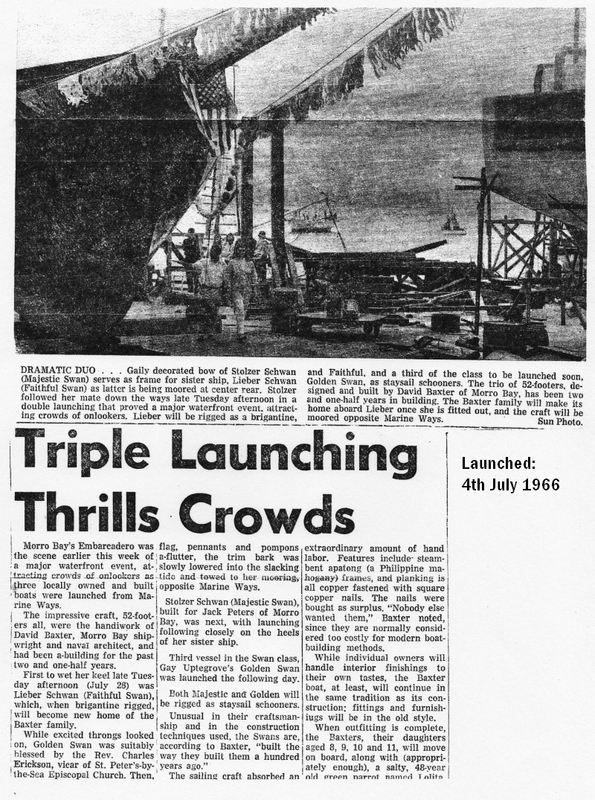 Part of this time they raised their 4 daughters aboard her while cruising at sea often for months at a time. 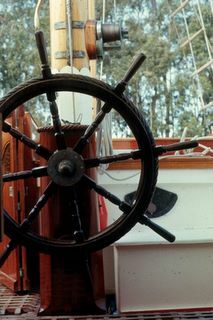 Lieber Schwan was also used various times in Disney Movies, Other Movies, National Geographic Filming and to Train Young Adults the "Arts of a Sailor" including the Sea Scouts of Newport Beach California. 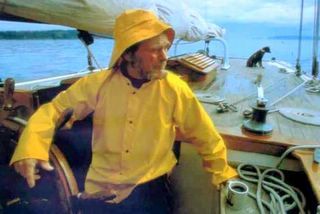 Lieber Schwan brought a world of adventure on the high seas to the Baxter family and many others. 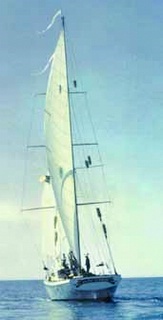 1926 69ft. Ocean Tug "Kittie B"
Well loved and used often for personal use and Orcas Island community activities. 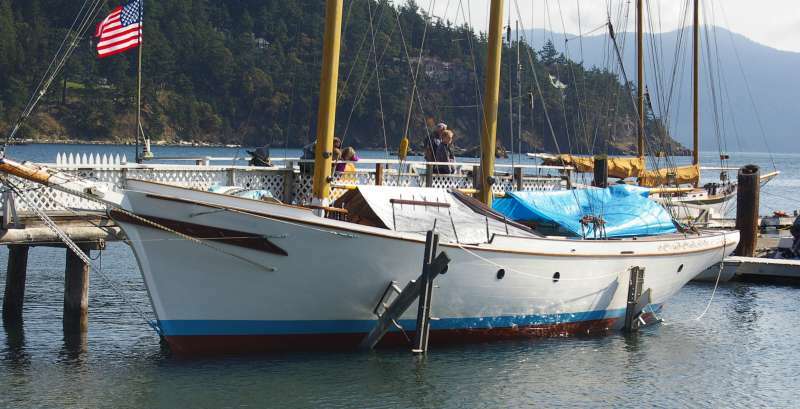 This classic tug "Kittie B" has a 1913 to 1926 Atlas Imperial 100 Engine.
" Po -ta -toe, Po -ta -toe, Po -ta -toe." 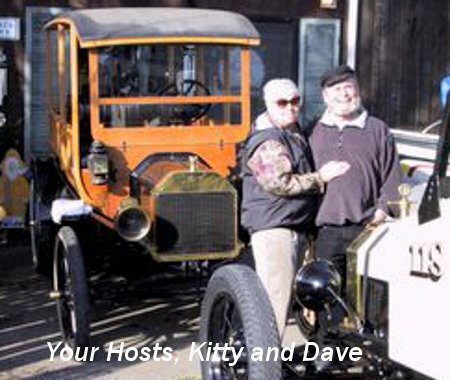 Owned by David and Kittie Baxter. 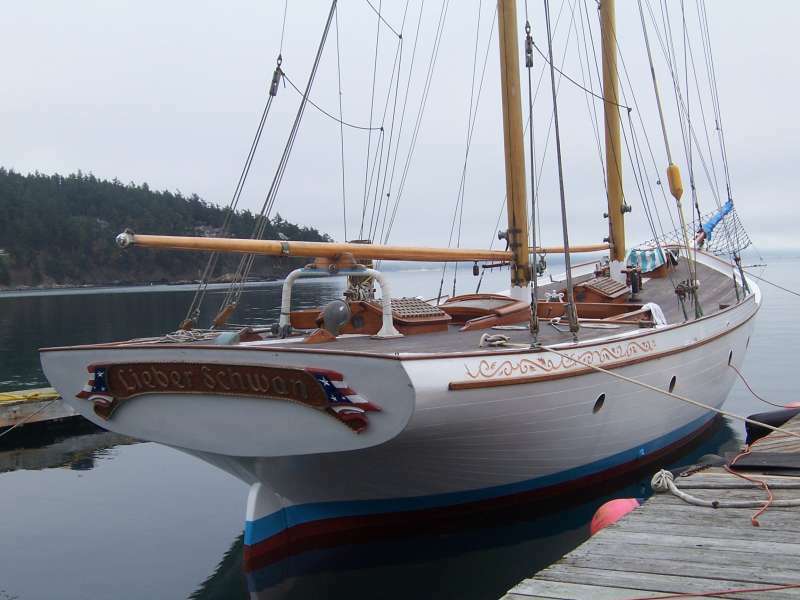 Moored at their Orcas Island Home, Lieber Haven Rentals and Marina. 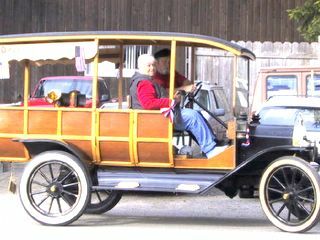 Lieber Haven Rentals and Marina has a 1913 Depot Hack Ford Model T, called Aunt Maude. Despite all Aunt Maude's years she still gets around by participating in Orcas Island parades. 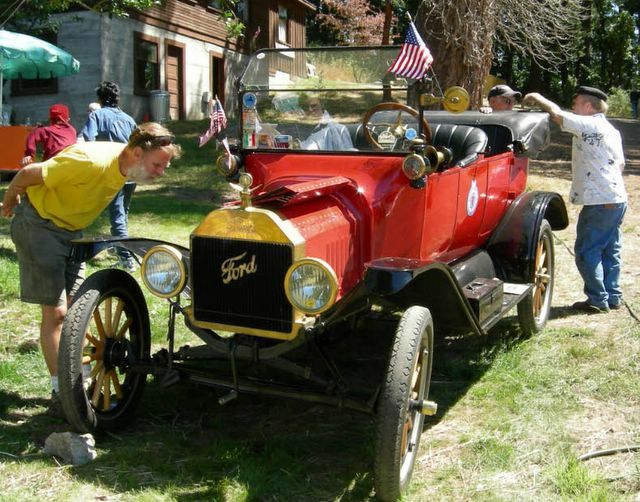 The 2004 parade in Eastsound, Aunt Maude took a rest and allowed the local pomeranians to attach a leadline to her and tow her down the street as the Orcas Island Ididorod. (these dogs? acted like they were towing anyway, Aunt Maude kept her engine running just in case those 10 odd fluff balls didn't have enough power) Of course those little dogs needed harnessing anyway and they got 1st. place for being Original. Aunt Maude makes an appearance at Rosario Resort and other locations on Orcas Island for weddings, she has often supplied newlyweds with a little tour to announce their marriage. Aunt Maude with some well seasoned T's toured Orcas Island. Members of the T-Oilers club from around Washington State stayed a few days at Lieber Haven Rentals. 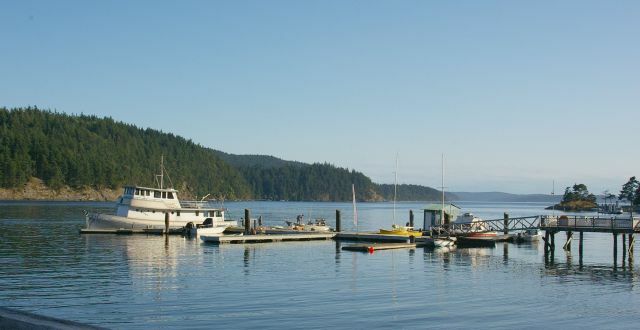 Orcas Island Waterfront Lodging just steps away from the beach. 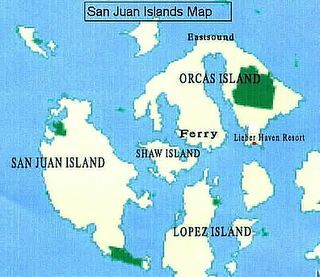 Lieber Haven Rentals and Marina is located just 4 mi. past Moran State Park at Obstruction Pass Bay. 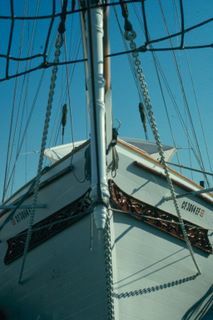 Orcas Island Visitors are welcome to stop by and see our Historic Classic Yachts. 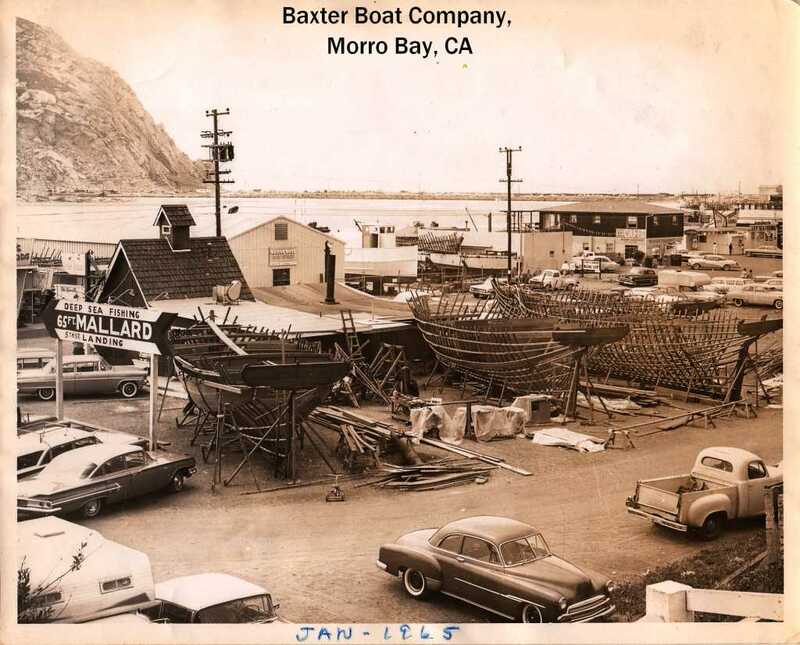 Browse our General Store and Predominantly Nautical Antique Store.